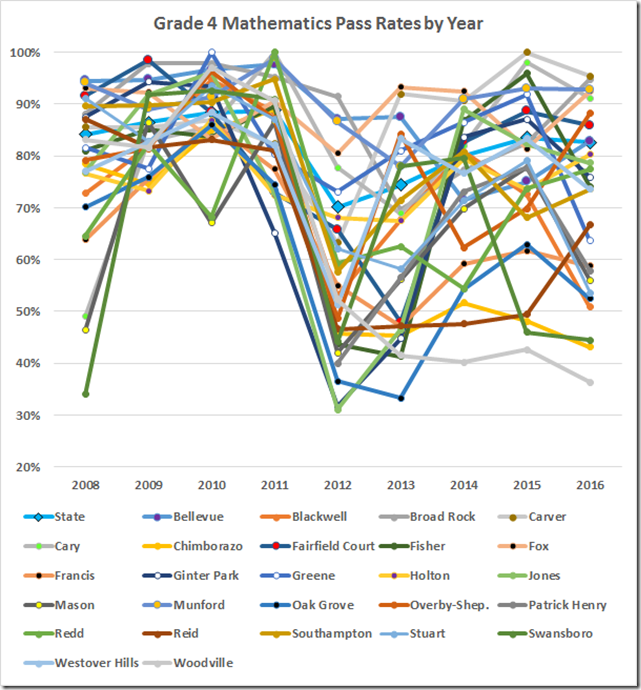 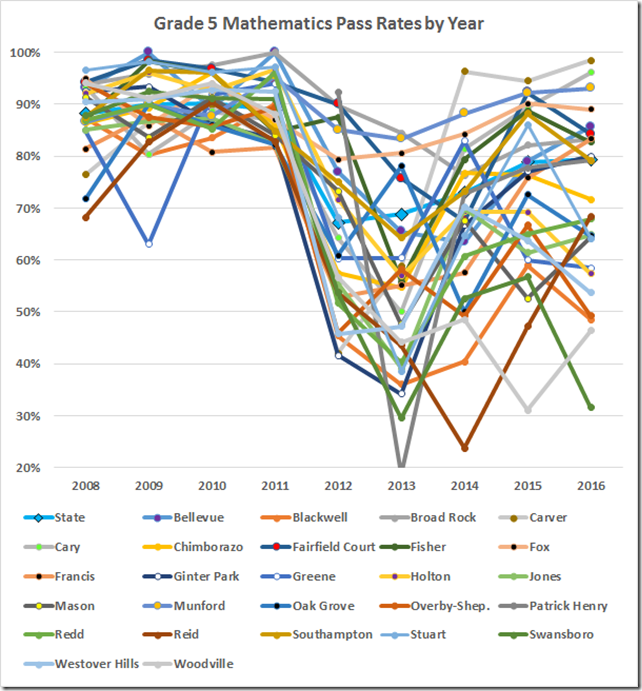 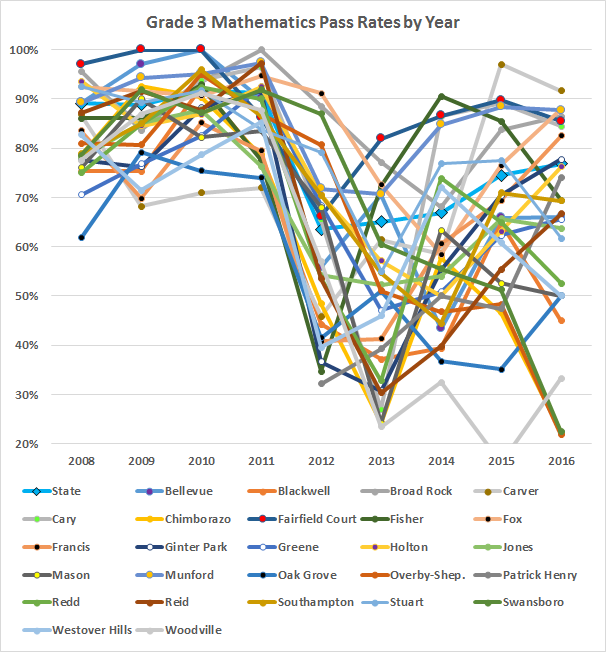 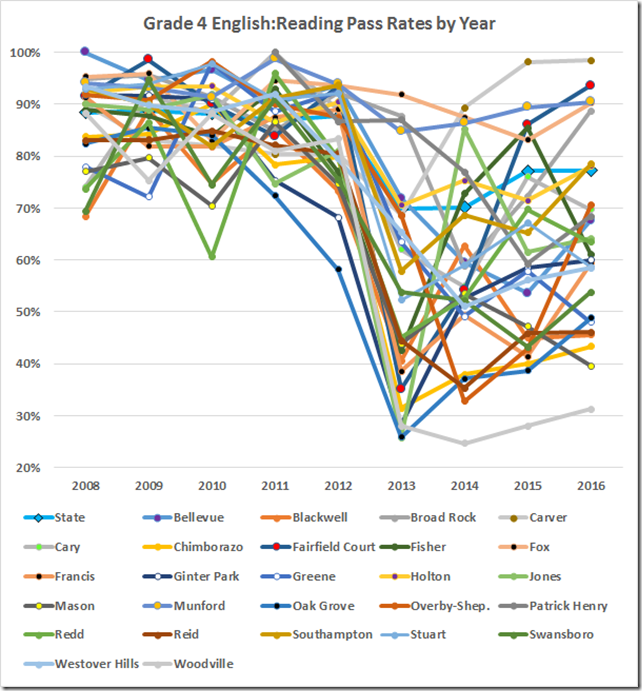 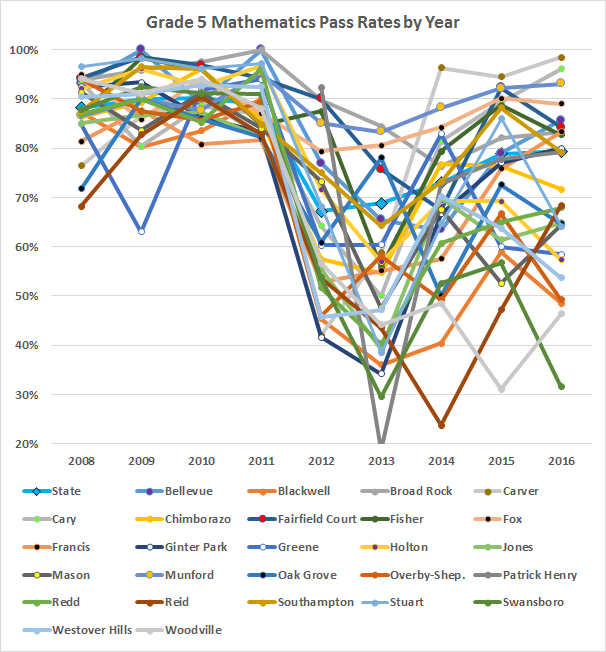 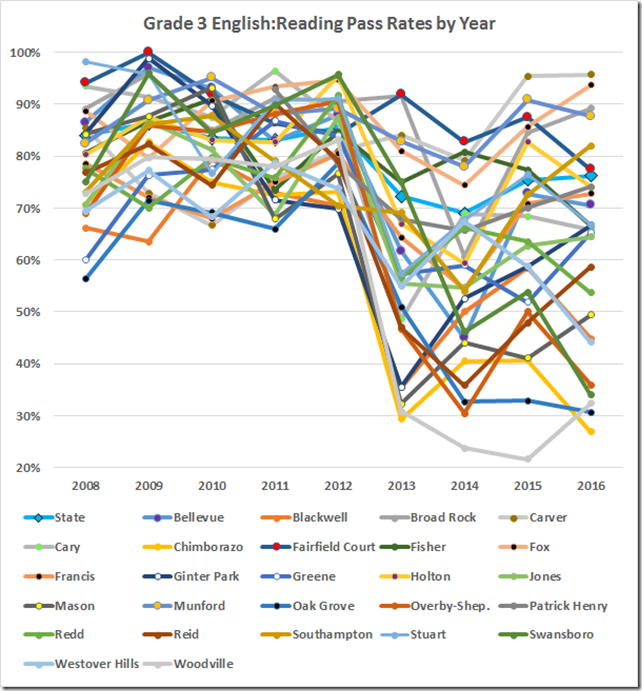 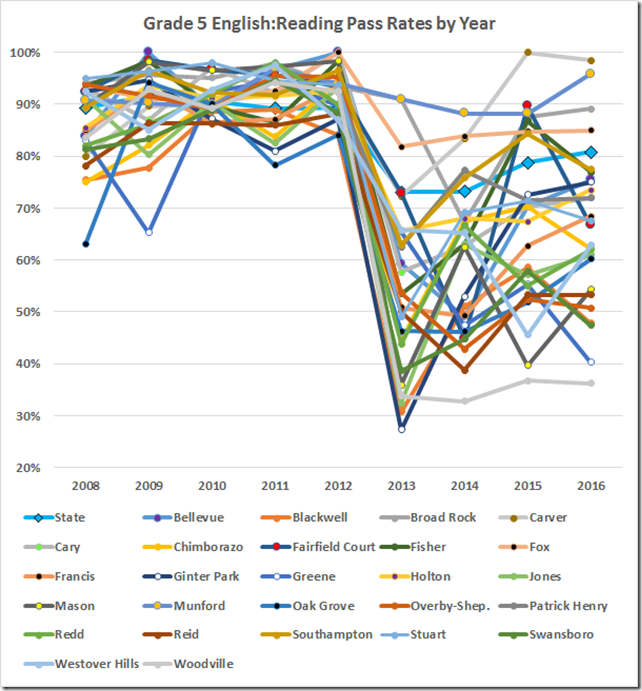 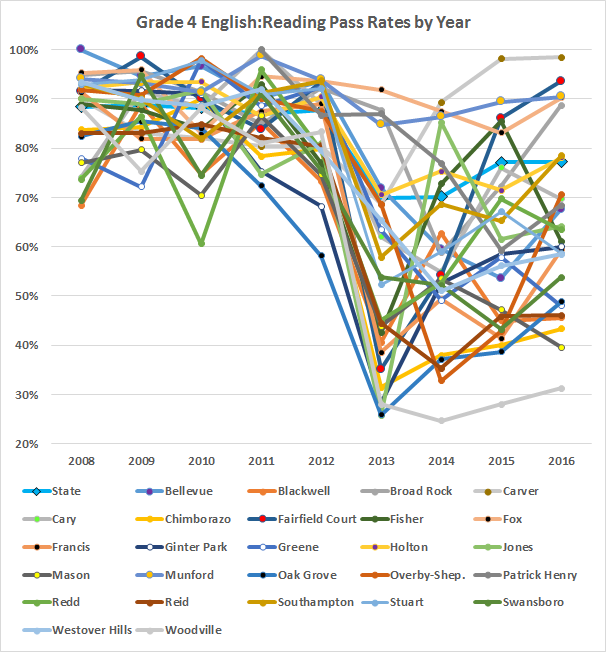 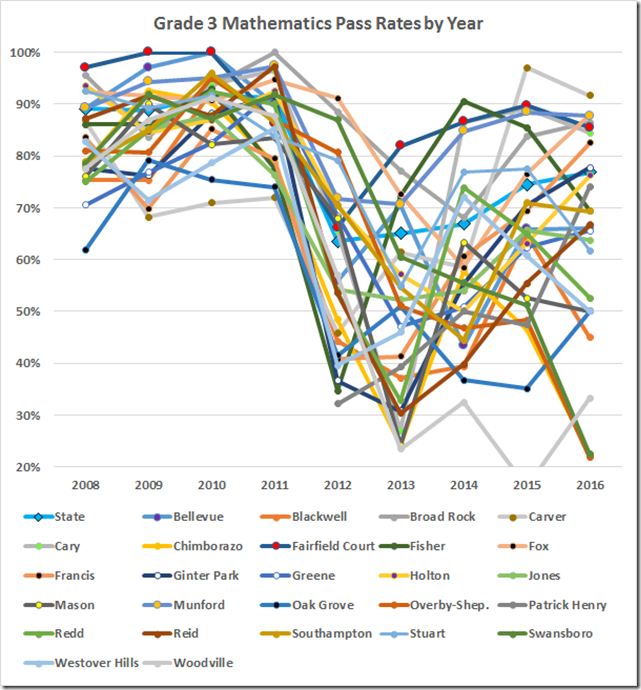 The twenty-six Richmond elementary schools are too many to put on one graph. 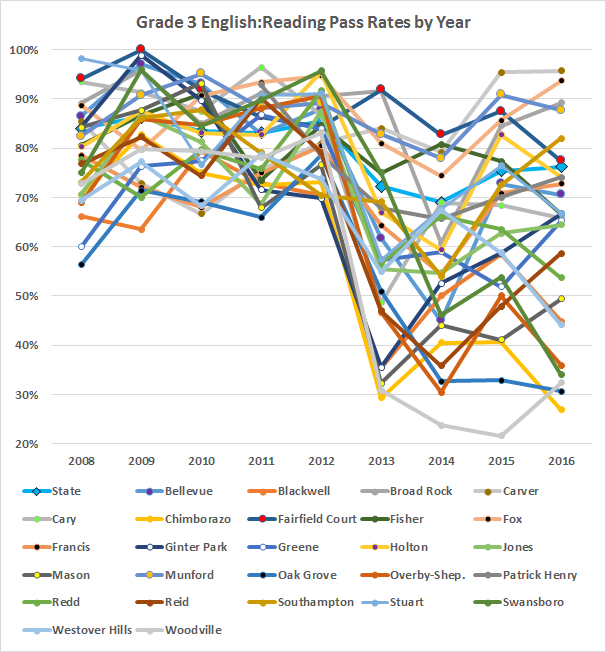 But multiple graphs obscure the overall picture. 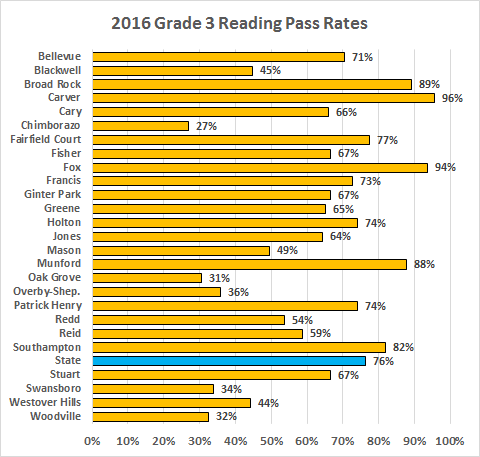 So here are the Third Grade reading test pass rates. 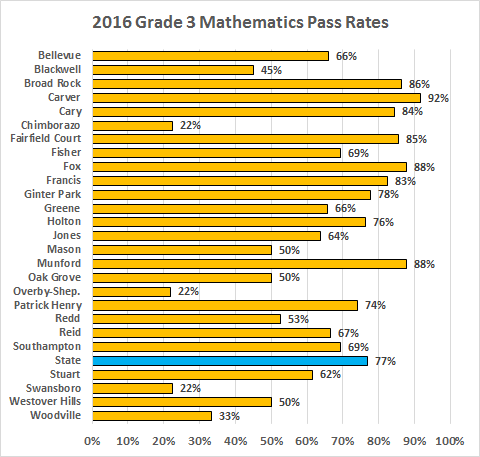 As a reminder: The accreditation level for reading is 75; for math, 70. 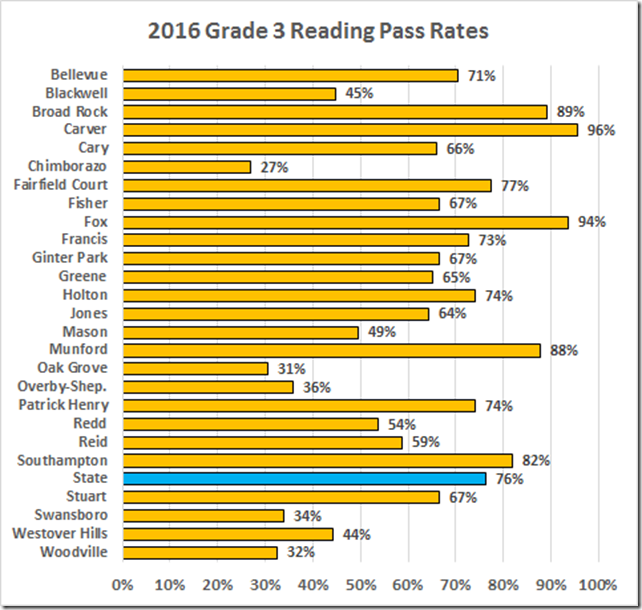 As a finding aid, here are the 2016 scores. 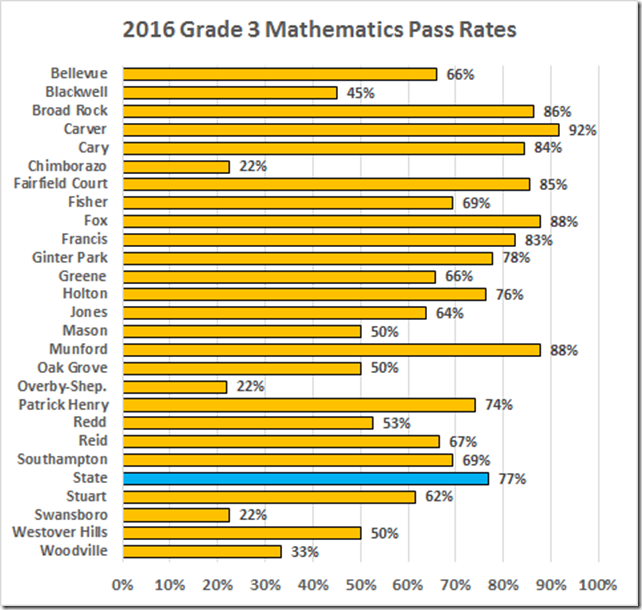 Then, the next two grades.